Another board I started a long time ago, but due to time/life, has been on the shelf. 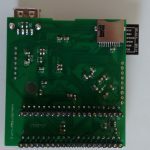 M7 board is connected between a Z80 and it’s dil socket. For starters aimed at the Amstrad GX4000 console (and of course the other Amstrads), boosting it to be a full blown CPC+ computer. But maybe later other Z80 based computers. However due to the design it will be able to offer more than the M4 board. The Z80 datalines can be intercepted, so technically any hardware can be emulated on the Cortex M7 chip (disc drives, tapes, keyboard), providing the Cortex-M7 can keep up. 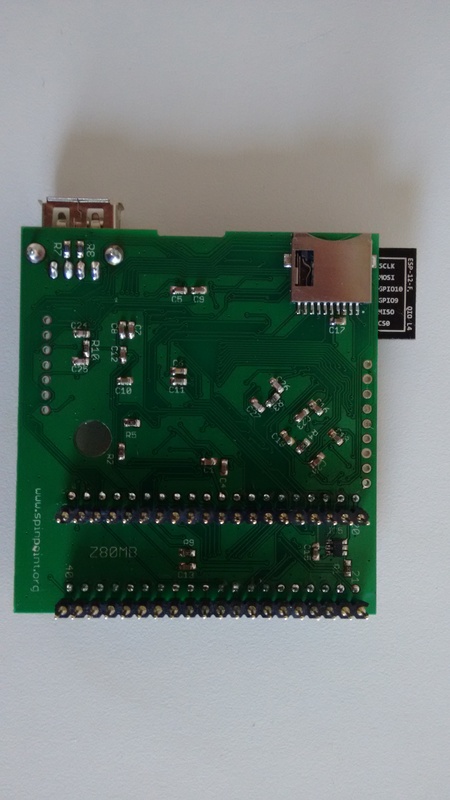 STM32F7 mcu handling the Z80 address, data and control lines, SD card. 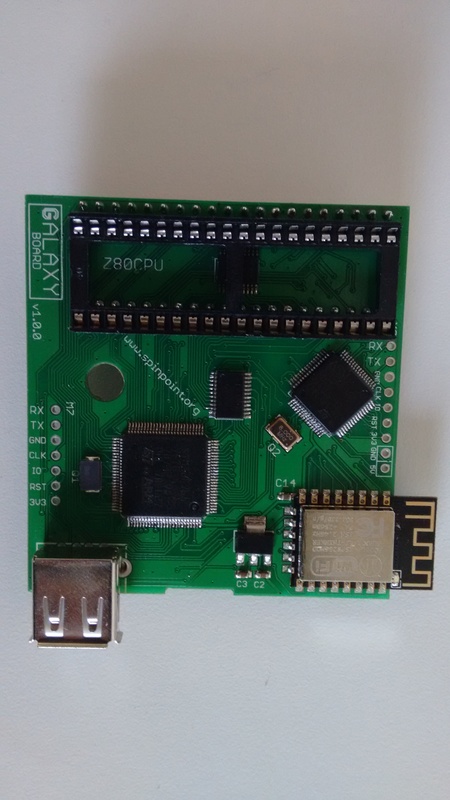 STM32F1 mcu being USB host, interconnected to the Cortex-M7, via 8 datalines and 4 address lines (covering the keyboard matrix). And a bus switch to seperate the Z80 datalines from the motherboard, this way any response on an I/O port for example can be “replaced”. Planned features for starters is, expanding ram, probably I will spare 256KB + the internal 64 KB for starters. Add key+mouse option (via ie. logitech unified) through the USB socket. Debugging signals on a CPC464 and physical layout. 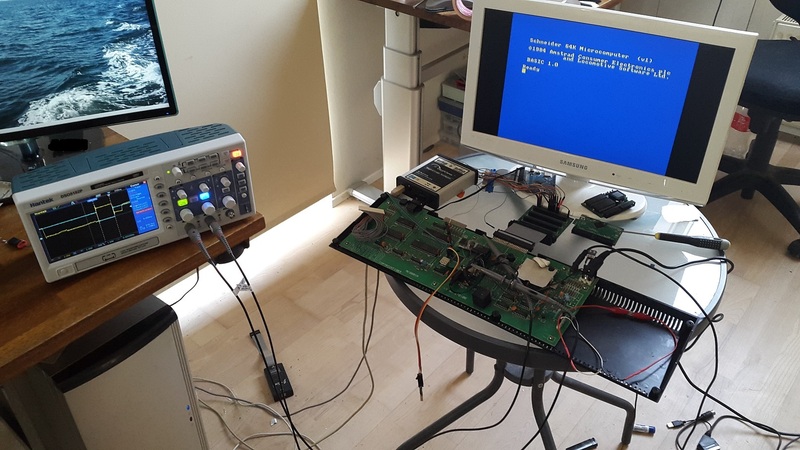 Basics working on a Amstrad GX4000 console. More to come when time allows. I am interested in buying an M4 plate for my Amstrad CPC 6128. Could you tell me how to make the purchase, make the payment, the price of the M4 and the postage for Spain ?. Thanks and best regards. I would Like to purchase a m4 for my 6128 plus. It looks fantastic! Please could you contact me. Loving the idea of your M7/Galaxy board! I would love one for my 6128 when you get there. As you said you were starting with the GX4000, I’ll probably have to try to grab myself a GX4000 just to use one of your M7/Galaxy boards on it! Actually the base version intended for GX4000, would work on any CPC, however due to physical changes on the various CPC motherboards, the board will simply not fit all, ie. CPC 464/6128+ it would not be able to fit because the cartridge connector is in the way, the PCB would need to be mirrored to fit those. I haven’t check all the different PCB revisions yet, but no doubt many it will fit as it, others it wont, and a re-layout will be needed. Hopefully I can soon make an update on the progress. This is just an awesome project keep up the hard work. Also if there is a pre-order/mailing list for M7 boards I’d appreciate you sticking me on it. Many thanks. Thanks 🙂 – I don’t take any preorders yet, right now have a little summer break from the project.. I would like to purchase M4 for my 6128, how do I go about it? Amazing project. I’d like to get the M7 board. I’m really happy with the M4 but the extra RAM is what I need to make SymbOS work at full capabilities. Dude, you are making my dream come true! My little 6128 would fly with this board and SymbOS! I would like to purchase M4 for my 6128 plus. How and where to buy it? Would it be possible to allow HDMI output directly with the M7 card? Not possible with the current board. It could become possible, but it would be a lot of work, basically keeping track of all CRTC, GA registers and ram contents, to render the image. I was wondering how you’re getting on with the project? I’ve recently rediscovered the GX400 after seeing game reviews in Mean Machines Magazine in the UK as a child (I had a NES at the time). I have purchased a multicart for my GX4000, but this blows my mind! Will you be posting on your blog when you’re ready to take pre-orders? Tbh. I have not worked on this project for quite a while. I hope to pick it up again soon(tm). I will post progress then. Be interested in seeing this when it’s finished. I’m very much interested on the M4 board for my CPC6128. I would also like to purchase the M7 when ready. I design controllers on Cortex-M4 & M7 and your site was a very pleasant surprise for me. Congratulations. 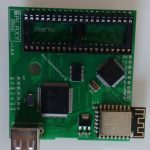 Please advice on how I could possibly purchase the M4 Board for CPC6128. Thank you very much.